Windows 10 Task Manager not responding? You’ve got the company. There are lots of Windows 10 users facing this annoying issue. So keeping this thing in mind I decided to cover some possible ways to troubleshoot the issue. Task Manager is one of the essential programs of Windows operating system. It provides you information about the programs, services, and process running on your computer. You can also manage your startup programs right from it. One of the best features of Windows 10 Task Manager is that you can force close unresponsive apps or programs just with a single click. But what if it stops working or not responding? After reading responses of the users over the web it is confirmed that they start facing this issue after upgrading to the latest build available for Windows 10. This is a really annoying issue and I’m sure lots of Windows 10 users want to fix this issue quickly. 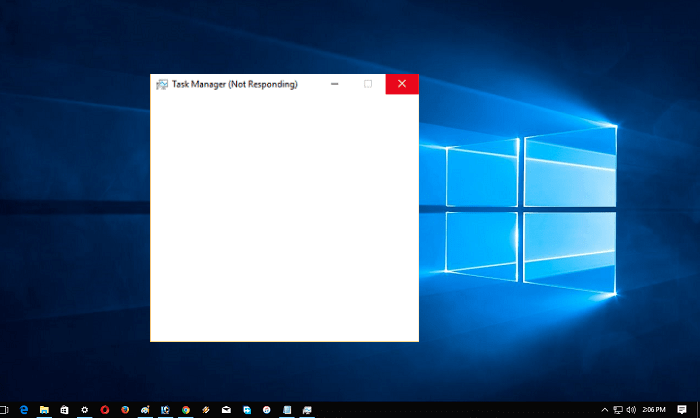 In case, Windows 10 Task Manager not responding or not working properly, freezes, become unresponsive or stops working randomly, then you can try suggestion discussed in upcoming line to troubleshoot the issue. Quick reboot is one of the simple solutions to fix almost all the issues in Windows operating system. So you can try this and check if this fixes Task Manager not responding windows issue or not. In case, you’ve already tried this step head over to second suggestion. Microsoft always fixes to know issue via Windows Update. So it is recommended to check if any update or fix is released by the company officially. 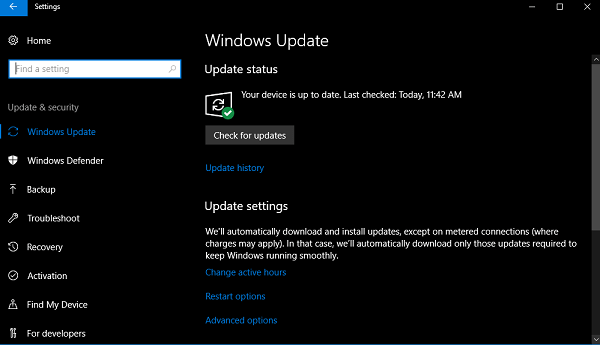 You need to open Settings app and navigate to Update & Security -> Windows Update -> Check for update. If any update available download, install and reboot your system. Now check if this fixes the issue. In case, no update is available to try the next suggestion. To Sign out from the current user account, press ALT + CTRL + DELETE key combo and from the options available click on Sign out. Alternatively, Right click on Start button -> Shut down or Sign out -> Sign out. Settings -> Apps -> Apps & features. 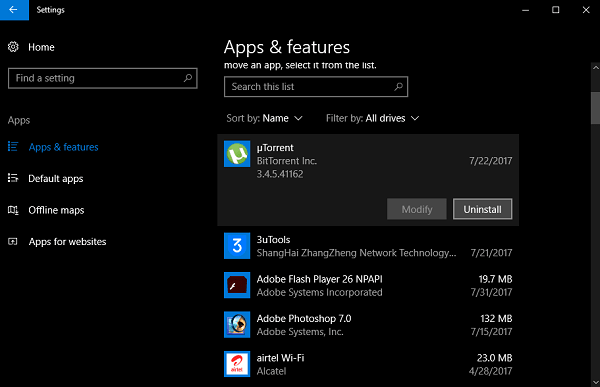 On the right pane, you will get a list of all the apps installed on your system. Select the app and then click on Uninstall button. It is highly recommended to uninstall Antivirus first and check if this fixes the issue. After that go for apps. Launch Elevated Command Prompt(Run as administrator). 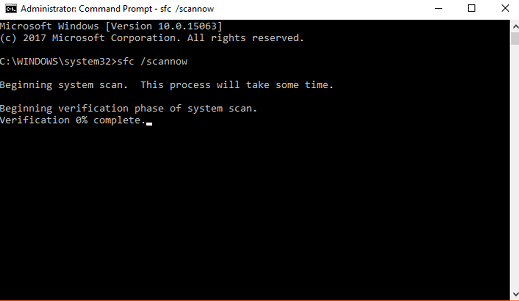 In the command terminal type sfc /scannow and hit Enter. Once the process is completed reboot your system. 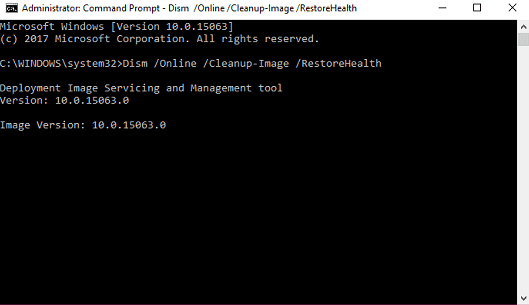 Launch Elevated Command prompt(Run as administrator). Type or Copy-Paste following code in the command terminal and hit Enter. CCleaner is one of the most popular cache cleaning tool for Windows operating system. You can download it from the official website. 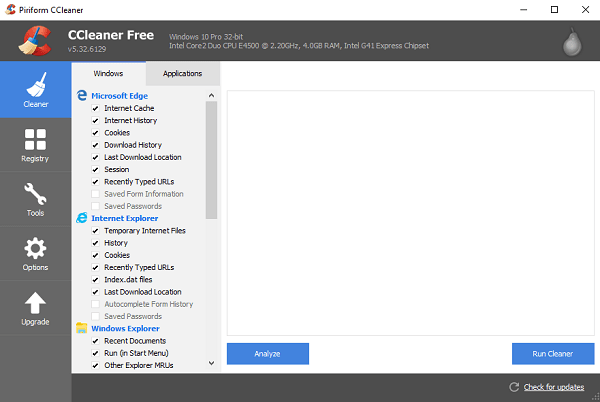 Run CCleaner to clear cache and unnecessary files on your system. Once the process is completed reboot your system and check if this fixes the issue. In the Powershell window, type copy & paste following code and hit Enter. Before following below step: Make sure option to show hidden file in Windows 10 is enabled. 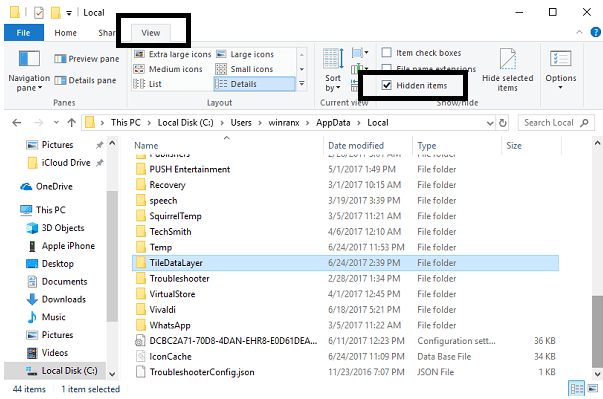 For that, launch File Explorer -> Switch to View tab -> Check Hidden items box. If you do not follow this step, you will not find TileDataLayer folder. 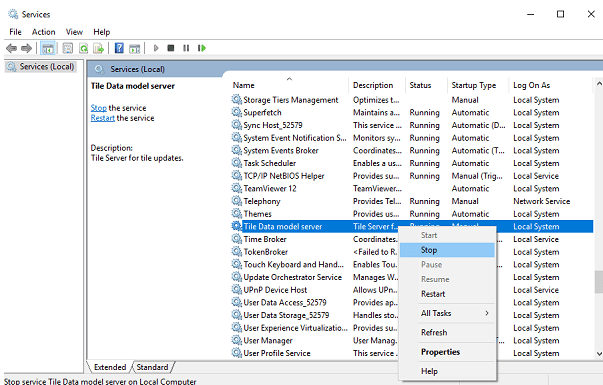 In case, you’re unable to delete TileDataLayer folder, then press WIN + R to launch Registry Editor. In the space provided type services.msc and click OK. Here scroll down until you find “Tile Data model server“. Right-click and select Stop it. Now again try to delete TileDataLayer folder. 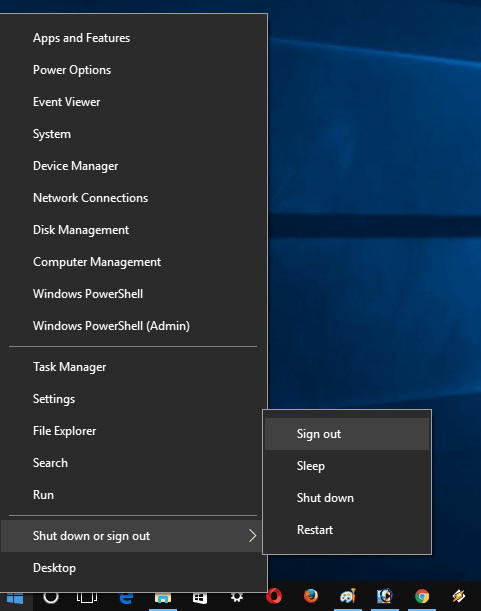 Reboot your system and check if this fixes the Windows 10 task manager not responding issue. In case, none of the steps discussed above helped you fail to fix Task Manager not responding in Windows 10, then last resort is to perform a clean installation of Windows 10 with the latest build available from Microsoft. So these are some possible ways which you can use to troubleshoot Windows 10 task manager not responding issue. I hope you find these steps useful. Use comments section below and share your thoughts. Thanks for doing all this legwork. It would be great to know the actual cause, and even greater if MS fixed it (I reported the bug to MS). It’s bad: The problem on my box is so severe that the mouse/kbd is unresponsive, long periods of blank monitor output, making the workarounds here unavailable. The only way out of the task manager death grip is to wait for the taskman not responding dialog to pop up and kill it – about 50 minutes. Try opening windows explorer again.